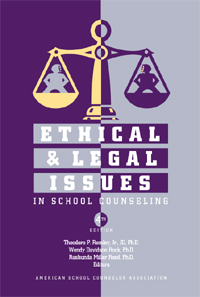 Copyeditor and project manager, Ethical & Legal Issues in School Counseling, 4th Edition, published 2017 by the American School Counselor Association. Editors: Theodore P. Remley, Jr., JD, Ph.D., professor of counseling at the University of Holy Cross in New Orleans; Wendy Davidson Rock, Ph.D., counselor educator at Southeastern Louisiana University; and Rashunda Miller Reed, Ph.D., assistant professor of counseling at Indiana University-Purdue University. 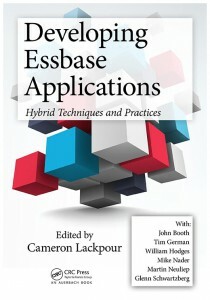 Copyeditor and project manager, Developing Essbase Applications: Hybrid Techniques and Practices, edited by Cameron Lackpour. Published 2015 by CRC Press (Taylor & Francis). Cameron Lackpour has been a consultant since 1996, creating solutions for customers using Oracle Essbase and Planning. He was named an Oracle ACE in 2011 and an ACE Director in 2012. His extensive industry online presence includes Cameron’s Blog for Essbase Hackers. 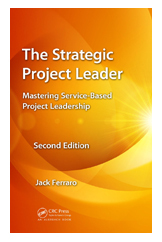 Stylistic editor and copyeditor, The Strategic Project Leader: Mastering Service-Based Project Leadership, 2nd edition, by Jack Ferraro, PMP. Published 2014 by CRC Press (Taylor & Francis). Jack Ferraro is a certified PMP, Agile Certified Practitioner (PMI-ACP®) and Certified Scrum Master (CSM) with more than two decades of experience managing and leading projects in a range of industries. His company, MyProjectAdvisor, helps teams increase collaboration, partner with customers to create positive energy, develop team leaders, and understand and use the power of servant leadership. 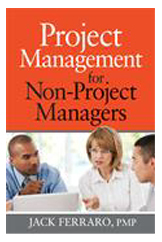 Stylistic editor and copyeditor, Project Management for Non-Project Managers, by Jack Ferraro, PMP. Published 2012 by AMACOM, American Management Association. Copyediting and formatting: Guide to Physical Therapist Practice, Revised Edition, flagship professional book of the American Physical Therapy Association, published May 2014. 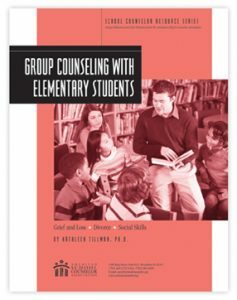 Group Counseling with Elementary Students, by Kathleen Tillman, Ph.D.
Dr. Tillman is an assistant professor in the Department of Counseling Psychology and Community Services at the University of North Dakota and previously taught at the State University of New York at New Paltz. 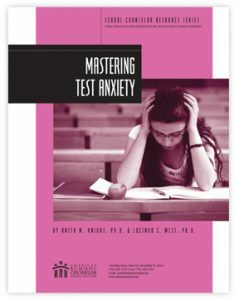 Mastering Test Anxiety, by Anita M. Knight, LPC, Ph.D., and Lucinda West, Ph.D.
Dr. Knight is an assistant professor of Counseling in the Center for Counseling and Family Studies at Liberty University. Previously, she taught at Old Dominion University, was head counselor at a substance abuse treatment facility, and was a school counselor and supervisor. Dr. West is a full-time counselor educator and supervisor for Capella University. In Florida, she is licensed as an LMFT and LMHC, a qualified supervisor, and an AAMFT Qualified Supervisor. Linda Brannan is an educational consultant to K-12 Student Support Services for the North Carolina Department of Public Instruction. With 29 years of school counseling experience, she has been dean of student services at two high schools in Wake County and is a National Board Certified Counselor. 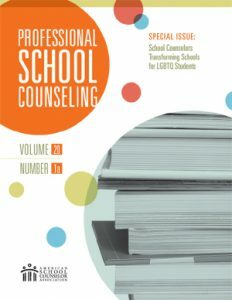 Assistant editor, Professional School Counseling, journal of the American School Counselor Association. 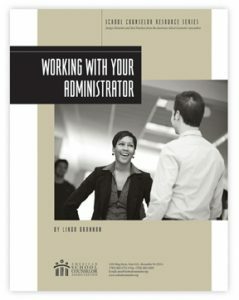 Editor: Newsletters for State School Counselor Associations. Five times per year, edit and deliver electronic newsletters addressing topics relevant to school counselors, customized for 51 state school counselor associations. View sample. Published by American School Counselor Association. Served as managing editor of the Oracle, newsletter of the Association of Professional Investment Consultants. Served as editor, SPAN USA Network News, newsletter of Suicide Prevention Action Network USA. Served as associate editor of Making Waves, quarterly magazine published by American Women in Radio and Television. Ghostwrote articles published in Nation’s Building News Online, Assisted Living Success, and Condo Management. Northern Virginia Community College: Wrote script for 3-minute video promoting new MAAP (Model Adult Automotive Pathway) program. InfoZen, Inc., Corporate Past Performance Catalog: To support proposal development fora technology firm serving federal government agencies and large contractors, crafted descriptions and case studies to create a comprehensive catalog of 24 project descriptions. National Committee on Vital Health Statistics, Department of Health and Human Services: From complete transcripts, each 350+ pages in length, wrote comprehensive 30-page minutes of two-day hearings on privacy and confidentiality issues stemming from implementation of the HIPAA Privacy Rule. Wrote copy for member benefits brochures and member recruitment letters for 40,000+ member national association. Created and implemented successful e-mail campaigns promoting a national association’s annual conference, publications, and services. Wrote training manuals and edited security accreditation documents for two new federal government technology systems. Conducted face-to-face and teleconference/online training for federal employees and contractor users of two Web-based risk management systems.